Last night began the season of “counting the Omer” and goes through May 30th this year. It marks the beginning of the barley harvest when, in ancient times, Jews would bring the first sheaves to the Temple as a means of thanking God for the harvest. Omer means to utter speech – to verbally count the days. It is a 49 day transition period between the second night of Passover (Pesach) and the holiday of Pentecost (Shavuot).… a transition from deliverance into an outpouring from Heaven….an outpouring of His Spirit. In this transition period, it is important to “verbally count the days” with declarations…. declarations of His promises over our lives, of who we are In Christ and of all that Christ purchased for us through His death and resurrection. Angels are activated as we declare His Word (Psalm 103:20). Daniel 10:2 “I have come for your words.” His angels are poised and ready to work on our behalf… to obey God’s Word that we have been declaring. What will you declare in this 49 day season? I encourage you to think about what you want to declare in this season and write it out. Get into the Word and find out what God has to say. Faith begins where the will of God is known. Find the Scriptures that say He is your Healer, Provider, Deliverer, etc and then boldly declare Him as such in your life. If the Word says He is your Healer, then healing is always the will of God. Once you are settled on what His will is for your life, it’s easy to boldly declare His promises as yes and amen in Christ Jesus. Abba (Father, Daddy, Papa or whatever your name for your Heavenly Father is) thank you for filling me with the knowledge of Your will through all the wisdom and understanding that the Spirit gives, (10) so that I may live a life worthy of the Lord and pleasing Him in every way: I bear fruit in every good work, I continually grow in the knowledge of God, (11) and I am always strengthened with ALL power according to His glorious might which results in me having great endurance and patience, (12) and I give joyful thanks to You Abba, because You have made me qualified in Christ to receive my share of the saint’s inheritance. (13) You have rescued me from the dominion of darkness and brought me into the kingdom of the Son You love, (14) in whom I have redemption, the forgiveness of sins. Make it your own. Spend time reading Paul’s prayers and boldly declaring them as your own. I particularly like a translation by Francoise Du Toit called the Mirror Translation. He writes it in such a way, that it is as if you are looking into the Mirror of the Word and seeing who you truly are. It also includes Greek definitions of the words. So, for reference, I’ll put Paul’s prayers from the Mirror at the bottom of this blog post. I also like the Passion Translation and use it quite often in my studies and prayer time. I’ve also included it at the bottom of this post. Even taking only these prayers for the next 49 days and declaring them over yourself will make such a difference in how you see yourself in Christ. By the time Shavuot (Pentecost) comes, you will be dancing and shouting! In the Mirror Translations, the Greek Word definitions italicized… also don’t forget to personalize it and make it yours. I desire that you will draw directly from the source; that the God of our Lord Jesus Christ, the Father of glory ignites the spirit of wisdom and of revelation in you in the unveiling of his Master Plan (His intent, doxa, glory.). I desire that you know by revelation what he has known about you all along! (18) I pray that your thoughts will be flooded with light and inspired insight; that you will clearly picture his intent in identifying you in him so that you may know how precious you are to him. The saints are his treasure and the glorious trophy of his portion! (We are God’s assets and the measure of his wealth!) (19) I pray that you will understand beyond all comparison the magnitude of his mighty power at work 1in us who believe. Faith reveals how enormously advantaged we are in Christ. (The preposition eis, speaks of a point reached in conclusion) (20) It is the same dynamic energy that he unleashed in Christ when he raised him from the dead and forever established him in the power of his own right hand in the realm of the heavens. (21) Infinitely above all the combined forces of rule, authority, dominion or governments; he is ranked superior to any name that could ever be given to anyone of this age or any age still to come in the eternal future. (22) I want you to see this: he subjected all these powers under his feet. He towers head and shoulders above everything. He is the head; (23) the church (The word, 1ekklesia, comes from ek, a preposition always denoting origin, and klesia from kaleo, to identify by name, to surname; thus the “church” is his redeemed image and likeness in human form.) is his body. The completeness of his being that fills all in all resides in us! God cannot make himself more visible or exhibit himself more accurately. that the Father of Glory, the God of our Lord Jesus Christ, would unveil in you the riches of the Spirit of wisdom and the Spirit of revelation (discovery) through the fullness of being one with Christ. (18) I pray that the light of God will illuminate the eyes of your imagination (innermost) flooding you with light, until you experience the full revelation of our great hope of glory. We know that is the reason he called you to himself. And I pray that you explore and experience for yourselves all the riches of this wealth that has been freely given to all his holy ones, for you are his true inheritance! (19) My prayer for you is that every moment you will experience the measureless power of God made available to you through faith. Then your lives will be an advertisement of this immense power as it works through you! (20) This is the explosive and mighty resurrection power that was released when God raised Christ from the dead and exalted him to the place of highest honor and supreme authority (at His right hand) in the heavenly realm! (21) And now he is exalted higher than all the thrones and principalities, above every ruler and authority, and above every realm of power there is. He is gloriously enthroned over every name that is ever praised, not only in this age (Aramaic says universe), but in the age that is coming! (22) And everything now finds its essence in Him, and He alone is the Leader and Source of everything needed in the church. God has put everything beneath the authority of Jesus Christ (under His feet) and has given him the highest rank above all others. (23) And now we, His church, are His body on the earth and the completion of Him that fills all things with his presence flowing through us! Overwhelmed by what grace communicates, I bow my knees in awe before the Father. (15) Every family in heaven and on earth originates in Him; His is mankind’s family name and he remains the authentic identity of every nation. (16) I desire for you to realize what the Father has always envisaged for you, so that you may know the magnitude of his intent (The word, 1doxa, opinion or intent.) and be dynamically reinforced in your inner being by the Spirit of God. (17) This will ignite your faith to fully grasp the reality of the indwelling Christ. You are rooted and founded in love. Love is your invisible inner source, just like the root system of a tree and the foundation of a building. (The dimensions of your inner person exceed any other capacity that could possibly define you.) (18) Love is your reservoir of super human strength (The word, exischuo means to be entirely competent, to be empowered to 2comprehend). which causes (the word 2katalambano, kata, strengthened form; with lambano, to grasp, thus to entirely grasp, means to come to terms with, to make one’s own Rom 12:13 Purpose with resolve to treat strangers as saints; pursue and embrace them with fondness as friends on equal terms of fellowship. Rom 12:16 Esteem everyone with the same respect; no one is more important than the other. Associate yourself rather with the lowly than with the lofty. Do not distance yourself from others in your own mind. [“Take a real interest in ordinary people.”— JB Phillips]. Rom 12:13 Purpose with resolve to treat strangers as saints; pursue and embrace them with fondness as friends on equal terms of fellowship. Rom 12:16 Esteem everyone with the same respect; no one is more important than the other. Associate yourself rather with the lowly than with the lofty. Do not distance yourself from others in your own mind. [“Take a real interest in ordinary people.”— JB Phillips] In the breadth and length we see the horizontal extent of the love of Christ: the complete inclusion of the human race. 2 Cor 5:14,16. The depth of his love reveals how his love rescued us from the deepest pits of hellish despair and led us as trophies in his triumphant procession on high. Eph 2:5,6, Eph 4:8-10, Col 3:1-4) you to see everyone equally sanctified in the context of the limitless extent of Love’s breadth and length and the extremities of its dimensions in depth and height. (19) I desire for you to become intimately acquainted with the love of Christ on the deepest possible level; far beyond the reach of a mere academic, intellectual grasp. Within the scope of this equation God finds the ultimate expression of Himself in you. (So that you may be filled with all the fullness of God! Awaken to the consciousness of his closeness! Separation is an illusion! Oneness was God’s idea all along! He desires to express himself through your touch, your voice, your presence; he is so happy to dwell in you! There is no place in the universe where he would rather be!) (20) We celebrate Him who supercharges us powerfully from within. Our biggest request or most amazing dream cannot match the extravagant proportion of His thoughts towards us. (Now to him that is able to do exceeding abundantly above all that we ask or think, according to the power that works in us…KJV) (21) He is both the Author and Conclusion of the glory on display in the ekklesia (The word, 1ekklesia, often translated church, comes from ek, a preposition always denoting origin, and klesia from kaleo, to identify by name, to surname; the ekklesia is the expression of his image and likeness redeemed in human life.) ,mirrored in Christ Jesus. The encore continues throughout every generation, not only in this age but also in the countless ages to come. Amen! So when I think of the wisdom of His plan I kneel humbly in awe before the Father of our Lord Jesus, the Messiah, (15) the perfect Father of every father and child (Translated from the Aramaic. It could also be translated “the perfect Father of every people group.” The Greek word for “father” and the word for “family” are quite similar, which indicates that every family finds its source in the Father.) in heaven and on the earth. (16) And I pray that He would pour out over you the unlimited riches of His glory and favor until supernatural strength floods your innermost being with His divine might and explosive power. (17) Then, by constantly using your faith, the life of Christ will be released deep inside you, and the resting place of His love will become the very source and root of your life, providing you with a secure foundation that grows and grows. (18-19) Then, as your spiritual strength increases, you will be empowered to discover what every holy one experiences— the great magnitude (excellence) of the astonishing love of Christ in all its dimensions. How deeply intimate and far-reaching is his love! How enduring and inclusive it is! Endless love beyond measurement, beyond academic knowledge— this extravagant love pours into you until you are filled to overflowing with the fullness of God! (20) Never doubt God’s mighty power to work in you and accomplish all this. He will achieve infinitely more than your greatest request, your most unbelievable dream, and exceed your wildest imagination! He will outdo them all, for His miraculous power constantly energizes you. (21) Now we offer up to God all the glorious praise that rises from every church in every generation through Jesus Christ— and all that will yet be manifest through time and eternity. Amen! It is my desire for each one of you, that the realization of love’s (The word 1agape is a compound word from ago, which means to lead as a shepherd leads his sheep, and pao, which means rest! 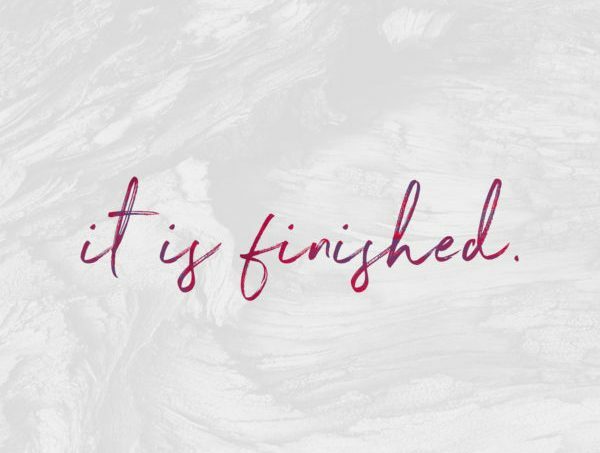 His love leads me into his rest; into the full realization of his finished work! Agape is Psalm 23 in one word. “By the waters of reflection my soul remembers who I am.”) completeness in you will increasingly burst through all boundaries, and that every sphere of your relationship with others will be greatly impacted by your intimate acquaintance with love. (10) I urge you to examine this agape-love with the utmost scrutiny, just like when a diamond is viewed in the full sunlight to prove its flawless perfection. I dare you to take Love to its ultimate conclusion! There is no offence in love, as evidenced in Jesus Christ who is the light of day. (If the diamond is flawless to begin with, every possible test will prove its perfection; how someone might respond to love’s initiative is not the point, love’s ultimate test was concluded on the cross. Truth does not become true by popular vote; someone’s ignorance or indifference cannot change the truth.) (11) You have been fully furnished with the harvest of your redeemed innocence and righteousness which Jesus Christ labored for! This is what the glorious intent of God is all about! Celebrate him! I continue to pray for your love to grow and increase more and more until it overflows, bringing you into the rich revelation of spiritual insight in all things. And with this revelation you will come to know God fully as He imparts to you the deepest understanding of his ways. (10) This will enable you to choose the most excellent way of all (The Aramaic literally means “choose those things that bring contentment.”) — becoming pure and without offense until the unveiling of Christ. (11) And you will be filled completely with the fruits of righteousness that are found in Jesus, the Anointed One— bringing great praise and glory to God! …..Our constant desire for you is that you might be overwhelmed with the knowledge of God’s dream for your lives. We pray that the pattern of his wisdom and thoughts will fall into place for you in all spiritual understanding (“sunieimi“, means a joining together as of two streams; a fusion of thought.) (10) Go on a walkabout tour (“peripateo“, means to walk about everywhere).to explore the extent of the land that is yours under his Lordship. Now you can conduct yourselves appropriately towards him, pleasing him in every harvest of good works that you bear. Meanwhile, you continue to increase in your intimate acquaintance with that which God knows to be true about you (The knowledge of God is not our perception of him, but his knowledge of us; to know even as we have always been known. [Jer 1:5, 1 Cor 13:12]). This results in the most attractive and fulfilled life possible. ** I like that “walk about tour”….. walking through the Word and exploring what belongs to me through Christ Jesus! ….that you would be filled to overflowing with the revelation of God’s pleasure over your lives. This will make you reservoirs of all wisdom and spiritual understanding. (10) We pray that you would walk in the ways of true righteousness, pleasing God in every good thing you do. Then you’ll become fruit-bearing branches, yielding to his life, and maturing in the rich experience of knowing God in his fullness! (11) And we pray that you would be energized with all his explosive power from the realm of his magnificent glory, filling you with great hope (As translated from the Aramaic. The Greek text means “patient endurance.”) and joy in the Holy Spirit!